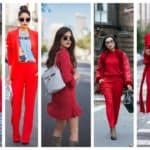 Feminine, elegant, powerful and passion, all this is the red, that is definitely the trendiest color for autumn 2018. As the weather is getting colder, insert some fire color to light up the coldness outside. Browse the gallery bellow to find out the hottest outfits in the color of passion and love. 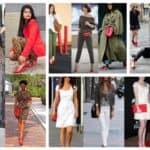 Follow the trend of the high fashion runways and stand out of the crowd by experimenting with all red, monochromatic, or red detailed outfits. 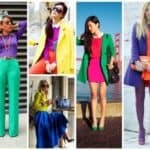 This is the color that never goes out of fashion. 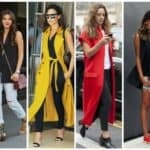 You will enjoy wearing it, and people will admire your courage to wear such a outfit. 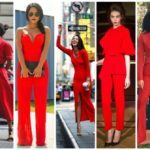 Red is perfectly combined with black, white, but with other bold colors too, so you won’t have any trouble to combine it with any piece from your wardrobe. Perfect for evening and day combinations, you can wear it on formal and casual combinations. You can wear it on coats, blazers, suits, high heels or whatever you want. Combining it is such an easy thing because it looks perfectly combined with other colors. It will insert passion and fire in your outfit. Don’t miss to have at least one piece colored in red this autumn. Red is the new must have and you mustn’t miss it in your autumn look this season. Stay classy, modern and chic dressed in this timeless color. 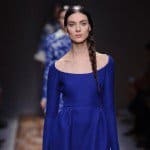 Enjoy the gallery inspiration below, with some of the trendiest outfits any woman can left speechless.